Work for SecureLink for Vendors? Learning about SecureLink for Vendors? "Easy to Install, easy to use. Top notch security compliance"
Security is not something to mess with. From a compliance point of view, it covers all your requirements but it is still user friendly. You don't need to be an IT expert to run the gatekeeper. It keeps track of who's on, and doing what. Maybe there could be something done around mobility? Some customers like to turn the gatekeeper on/off. Maybe it would be useful to be able to it with some kind of enterprise app? Give it a try... It's so easy to implement and maintain. It has helped us consolidate all the different VPNs, tunnels, and connectivity for our on premise customers. Security is a #1 priority for companies these days. Being able to choose when to allow people to connect and to which environments, and keeping track of what anyone is doing at a certain time for audit purposes helps you sleep well at night. What's so neat, is it makes the business users be able to do things, without IT's help. Particularly if the gatekeeper will be in some PC with windows then it's just a piece of cake. Being in support, it can be messy to keep track of all the different connectivity types to our customers environments. This is a one-stop shop for reaching all our customers and their environments. When there are hardware or network changes at our customers sites, its a very straightforward process to update theo hosts and go back to normal. "One of the best remote support application in market"
Accessing gatekeeper is easy. Security compliant and convenient to use. Less bugs and support is phenomenal . I can even use it from my personal computer so flexible enough application.It has also provided the control of turning ON/OFF of the gatekeepers for the clients by ensuring controlled across to the business. While connecting to multiple clients speed is an issue. Sometimes the gatekeeper is not available when services are down and we have to wait for long hours to get the work done. But it happens once in a blue moon.Overall a satisfactory application . It is a great application to go for .For taking rdp it is one of the best in the market. i have been using it over an year its works flawlessly. i am working in healthcare domain and connect to various clients server using secure link .It has helped us consolidate all the different VPNs, tunnels, and connectivity for our on premise customers.It is easy to connect and to keep a check on traffic and to check how many users are connected it has options to check. Easy to give access to vendors to get into my severs. I am able to tell when a vendor is accessing my servers and able to control when they can have access. I love being able to also see what a vendor did in my servers when they have completed. Being able to track that helps when there are issues with what was done in the server. I have not really found anything that I dislike so far. I love being able to manage when a customer can access the system. It is nice being able to control when a vendor accessing my servers. I know why they are getting in and also be able to track their steps. Haven't found any real issues yet. Everything seems to be working fine. "Easy to connect to VPN and get to work quicky"
I love that I can log into work quickly when I am running late. On the history tab, I am able to see all of my time sessions. Sometimes I have issues connecting to my vpn, but issues were always resolved quickly. I would recommend users of Securelink to utilize the history tab to keep track of their hours. When I first started using Securelink I disregarding this feature, but it is very helpful. Securelink allowes me to quickly log into work everyday. The connection is fast and secure. "SecureLink is easy to use, increases my productivity." Account setup and installation is simple and straightforward. Support-related problems and implementation-related issues. Support case life cycles reduced, satisfied clients being the result. The auditing Securelink offers is extensive. I like that the users connect to a central server and then the gatekeeper is listening for new requests to connect. We are using this to remotely connect to customer sites. We are able to offer this as a more secure method with auditing and notifications to customers when we connect. "Great gatekeeper to open my servers"
"Securelink is a best and easy way to remote in." Its security features, ITs easy to use and log in. The way we used to create gatekeepers in the older version was easier. I can say its a very good tool for remoting into the client's server. logging on to client's desktop and server to resolve app issues. Its a good way to resolve clients issues. The securelink interface is intuitive and it's easy to use. It also does not have any weird design quirks that don't fit. When using the Chrome browser you have to read download an app that every time you use it. We use it as a replacement for new clients tunnels, in place of a B2B VPN. The product is used by the company I work for for remote support and works well. My favorite feature is the ease of use. Quick connect is terrible most of the time the customers security policies prevent the app from running. The quickconnect feature needs help. Half the time the application will not load on clients workstations. We have a competitors product that works better but it would be nice to not have to use it. The ability to quickly connect to a server for support. Gives the option of FTP/RDP etc. Also tells if the ping has been down/up and since when. It should just be like a single sign-on with a list of all the connections, hopefully integrated with RDP Manager. Providing Software support for Hospitals. "working with securelink is great"
Managing all the servers at one place with ease. Without memorizing all the IP addresses and host names. Reconnecting to all the sessions when network down. Resizing full screen resolution. It is a wonderful tool to work with. "Great connection and easy to use. " I like that its only a few steps and am logged in and working. Sometimes the connection logs off to soon if I'm working in Excel or word. Helps a lot when working from home. Can be slow to connect depending on customers network security. excellent connection to your customers server or desktop devices. It allows us to secure our environments and monitor vendor activity. At the moment, there is nothing I dislike. It has been solid so far. Better change control/auditing of vendors making changes to our systems. "Secure way to connect to remote peers"
Every time we had problems we called the customer service and they were always helpful and always quick to solve the problem. Web interface has too much layers, in order to connect to one server it takes a lot of mouse clicks and pages. There's also no other options other than using this interface. We need a secure way to connect to our customers and SecureLink allowed us to do so. 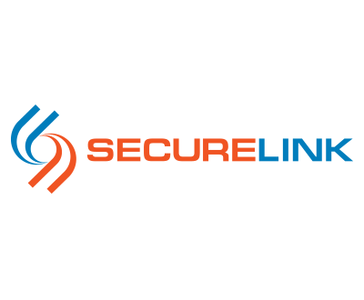 "SecureLink is fast and secure for our customers"
"I would recommend secure link"
Quick, easy, one stop place to connect to all clients. Don't have to install several versions of different VPN software to connect to each client. Would be nice to have the ability to have local machine actually on the client network. it's pretty easy to get connected to customers. It is giving us Fast Connectivity so that we can connect with clients machine rapidly. It is happening thatSome times server down. We are remotely accessing clients machines. After securelink connection manager additional item it's working seamlessly. Connecting various environment and multiple clients. * We monitor all SecureLink for Vendors reviews to prevent fraudulent reviews and keep review quality high. We do not post reviews by company employees or direct competitors. Validated reviews require the user to submit a screenshot of the product containing their user ID, in order to verify a user is an actual user of the product. Hi there! 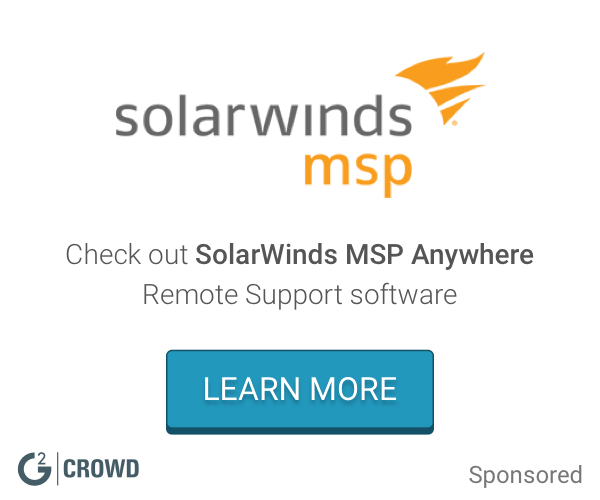 Are you looking to implement a solution like SecureLink for Vendors?